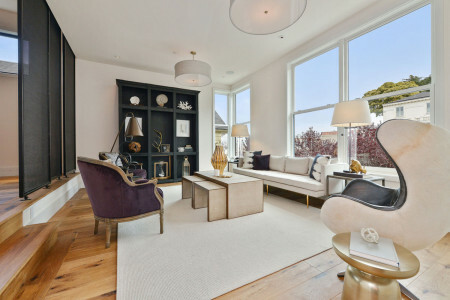 Located in the coveted Dolores Heights historic district this dynamic home features a rare combination of impressive views, extensive outdoor areas and convenient access to neighboring amenities. The homes 3 levels of living are highlighted by abundant natural light, soaring ceilings and high end designer finishes making this home a true standout. 4 Bedrooms 4.5 Bathrooms New Construction 2 Car s/s Parking Panoramic View Roof Deck Solar-PV System 7 Zone Radiant Heat Skylights Fireplace Video Intercom System Green Features Throughout Lot 29X125 *per tax records Walk Score 97.